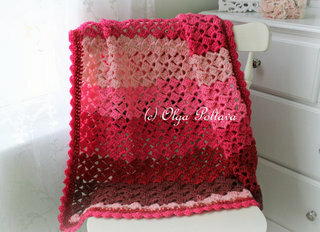 This baby afghan is super easy to make. 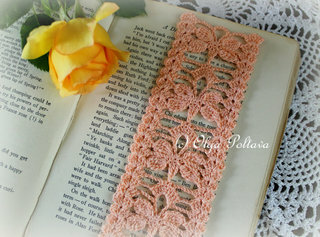 There are only two repeating rows and the stitches involved are single crochets, double crochets, slip stitches and chains. But despite the simplicity of the crochet techniques used, this blanket looks pretty enough to be given away as a baby gift or made for your own little darling. This stitch is a multiple of 5, plus 2. It can be easily adjusted for bigger size. Row 1: sc in 2nd ch from hook, *ch 5, skip 4 ch, sc in next ch* across. Ch 3, turn. Row 2: 5 dc in next ch-space, *ch 1, 5 dc in next ch-space* across; dc in last sc. Ch 1, turn. Row 3: sc in same beginning space, ch 5, *sc in next ch-1 space, ch 5* across; sc in last dc. Ch 3, turn. Repeat Row 2 – Row 3 until your blanket measures 40 inches in length. End with Row 3. Turn. Working in last row: *sl st into next ch-5 space, ch 3, 3 dc in same ch-5 space* across. Working in original chain: *sl st into next ch-space, ch 3, 3 dc in same ch-space* across. Working in end of rows: *sl st into next dc-space, ch 3, 2 dc in same space* across. Sl st into corner to join the round. Fasten off. Easy but so beautiful ! Ольга, красивое детское одеяло. Мне нравится. Hola Olga ♥ preciosa!!! otro clásico pero muy bello punto, es muy hermosa y delicada en este rosa bella mantilla besitos Sandra. 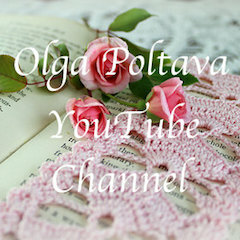 Great pattern Olga, thank you. 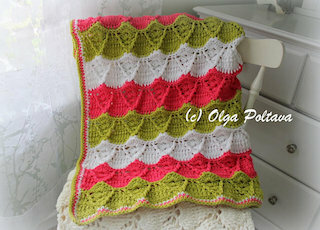 Another beautiful baby blanket by you Olga! OLÁ LACY,SEU CROCHÊ FICAR PERFEITO AMEI A COR ESCOLHIDA,PARABÉNS.BEIJO.VALÉRIA. I need a blanket for a baby shower in 2 weeks and this is going to be it! Thank you so much for sharing! You are very welcome. 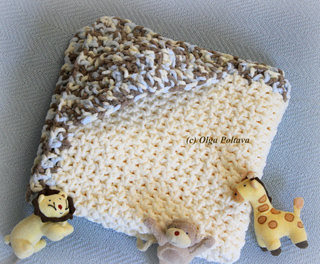 This blanket is quick to make, which makes it a good option for a "last minute" baby present. 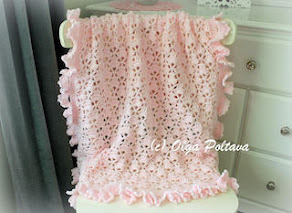 I made this blanket for my grand daughter in two shades of pink! I made it and yes it did. 5 is the multiple and add 2. 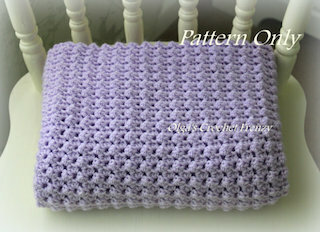 Example to make a lapghan of it you could crochet a chain of 75 plus 2 =77. In the original here it's a chain of 120 plus 2 = 122. So if I wanted to make this into a regular afghan, would you suggest I just double the original chain... or is it an increment (5+2 perhaps)? 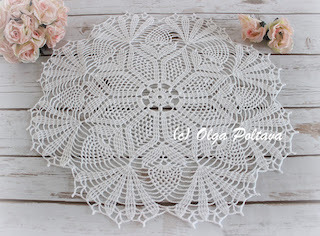 thanks for the beautiful pattern ! I am on the last row (ended on row 2 per your instructions) but am confused about how to start the trim. the instructions for "last row" of the trim, says to sl st into the ch-5 space...but there isn't a ch-5 space in this row. so I am thinking I should end with row 3, is that right? Hi Colleen, yes, you're right, that should read " End with Row 3". I'm going to fix that mistake right now. Thanks! I hope you blanket turns out nicely. Beautiful pattern, thank you for sharing your pattern. Will make this one day for sure!!! I am really new to crocheting. I am lost on the trim??? 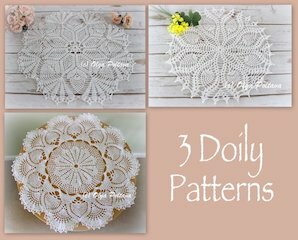 This is such a pretty, unique pattern! I love how it looks. Decided to give it a go with some variegated Bernat Sport Baby yarn, but I made a tiny blanket for a sample- about 10 by 7 inches! Even did the trim. 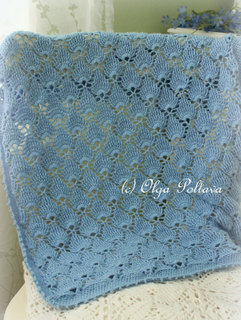 It looks quite nice with my variegated yarn and I had no trouble with the pattern! Going to undo the tiny blanket and then re-do it as a bigger baby blanket, probably going to try out 177 chains and see how that goes. Hi Shiloh, making a small sample blanket is a great idea. That way not only you know that you are comfortable with all the stitches used, but also you get an idea what your finished blanket might look like. Good luck with your blanket! Shiloh did you make this blanket and if so did your foundation chain come out correctly with 122 sts? I am trying to do 202 sts and I am ending up with 4 sts instead of 5. I think this is supposed to be 5 + 1 not 5 + 2 because everything is 5 except the first skipped chain where you go into the second chain. Did yours come out right with the 5 +2 formula? If so, where am I missing it? I rechecked my sts already. I'm having the same problem. Counted my stitches 3 times now and cant find where I went wrong if I did. My first row has 4 extra stitches on the end so I can't complete the second row of chain 5 then s.c. in next st. I'm going to try and move on to see if it's suppose to have left over on the first row. Just confused me! I'm so confused with the first row :c( I sc in the 2nd chain from my hook, but to then chain 5 and skip 4 chains and then sc in the next chain, doesn't move along with foundation chain of 122 stitches. So I don't understand what in the world I'm doing wrong. How do I move along the foundation chain of stitches to complete row 1? THANK YOU! I am having the same problem. Hope she answers us soon. 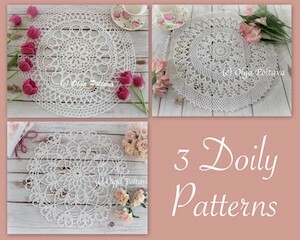 I am trying to start this pattern tonight. I wanted to make it larger as I'm using sport yarn plus I want it wider than 31". I made my chain 202 stitches and the count is not coming out right. I got clear to the end of the first row and have four stitches left instead of 5. I went back and made sure I only have four chains between the chain 5's and I started in the second chain. Where am I going wrong? 200 is divisible by 5 plus my 2 adding to 202. Hi, 202 chains should work, mathematically it's correct (200/5 plus 2). Sorry, I can't think of any reason why it's not working. my late mother in law used this same pattern for every blanket she ever made, (which were many over the 30 years i knew her.) i have made several blankets myself using this stitch. yours is the first i have seen on line. 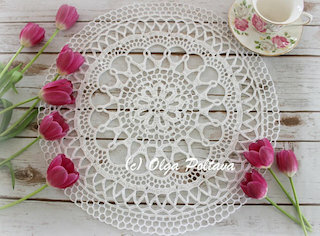 a simple, lovely pattern. Do you have a video on how to do the trim? I'm a visual person. I finished the blanket except for the trim & I think I need to see it done. Is this possible for you to do or send me a link? Just finished this blanket, and it turned out lovely. A very simple, yet elegant, pattern. It makes a beautiful baby blanket. Thanks for sharing! 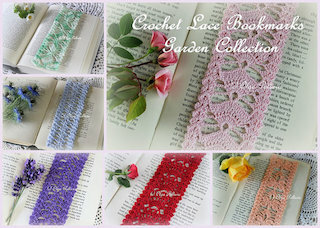 I love all your patterns and thank you so much for sharing it for free to us who loves crocheting for home use. God bless you more. 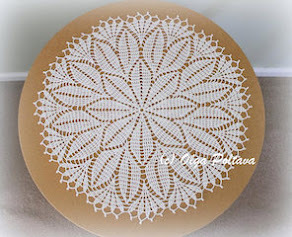 This pattern is beautiful, thank you for sharing!! I would love to enlarge this to an adult size afghan....what are the counts I need to keep consistent? Love the pattern. Can anyone tell me how much yarn is needed for the trim on this blanket? Hi Ciara, you mentioned "casting on". That sounds like knitting to me. 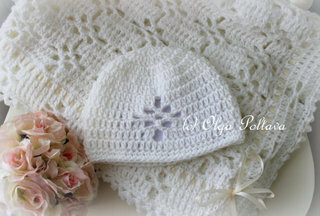 This is a crochet pattern and in the instructions Olga says the stitch is in a multiple of 5 plus 2. All you need to do is decide what width you want by using multiples of 5 and add 2. I hope this helps. I am constantly crocheting for my church with a group of ladies called "Helping Hands". Everything we make goes to the needy, homeless and hospitals in the area. Thank you for this pattern. Thank you! 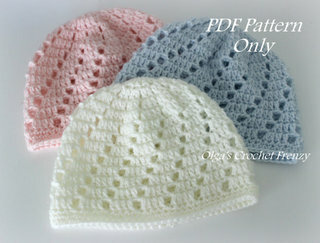 I was looking for a quick pattern for a friend who is adopting a 4 year old girl. I can adjust this to be the perfect blanket to welcome her to her new home. You are so kind to share! I don't understand "multiple of 5 plus 2" I have not crocheted in at least 10 years and I don't recall this term of enlarging a pattern. And the size is 40 x 31...40" long and 31" wide? It means that the starting chain should be divisible by 5, plus 2 more chains. For example, in my pattern 120 is divisible by 5 without a remainder, plus 2 more chains = 122. Yes, 40 inches is the lengths and 31 inches is the widths. I hate to appear so dumb, but I’m so confused as to how to start the blanket. After I chain the 122 chains and turn, it says to sc in 2nd Ch from hook. After that, I’m confused. It says ch 5 and sc in 4 th ch, but how does that connect to your running of 122 chains? I hope someone can help me. Thank you so much. A very easy pattern since I rarely read patterns I just look at them and try to figure it out. Lovely by the way. Добрый день, Елена! Нет, к сожалению, на русском у меня описания нет.